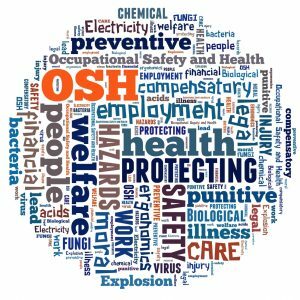 Hazard mapping is commonly used to identify workplace safety hazards. It begins with an exercise that asks participants to draw their workplace and identify safety hazards. 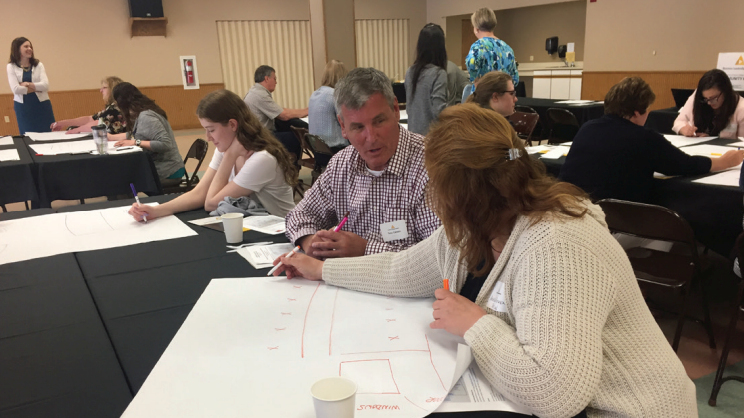 Diane Rohlman, PhD, Director of the Healthier Workforce Center of the Midwest, traveled with the University of Iowa College of Public Health’s Business Leadership Network to Oelwein, IA as part of an outreach activity with local employers. Rohlman and her team designed an expanded hazard mapping activity asking participants to create a hazard map that includes both safety and health hazards. Participants were given a list of potential hazards and asked to include relevant hazards on their map. Maps included hazards such as workplace violence, slips, trips and falls, machinery, and working with difficult customers. Solutions to address the identified hazards including changes to the work environment, adoption of policies, and individual behaviors were discussed. Participants were also encouraged to partner with other local organizations to address the identified concerns.